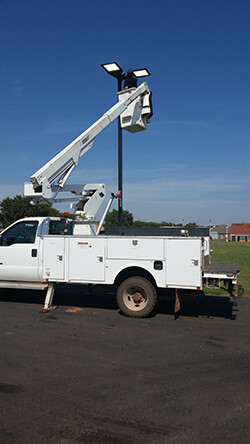 When your commercial property requires electrical support, it’s important to work with a trusted electrician in Kingfisher, OK who keeps your needs in mind. For more than 15 years, Dale’s 81 Electric, LLC has worked with local business and commercial property owners to provide expert electrical installations, rewiring, repairs and so much more. Remodels and new construction: When you hire our electricians to work on your newly built or remodeled property, we take ample precaution to protect your investment. Whether you need new wiring, trenching, a generator installation or an electrical inspection, we’re happy to provide prompt and knowledgeable assistance. Electrical repair: The best part about working with a reliable commercial electrician in Kingfisher, OK is that you always have access to an expert when something goes awry. If you’re facing an electrical issue, our fully licensed, trained and bonded professionals can help. We’ll meet you at the site, troubleshoot the issue and provide a thorough repair that gets your business back on track. Panel repair and replacement: When an electrical panel is on the fritz it can be a major inconvenience for a commercial space. Our technicians can quickly diagnose any issues and provide a detail-oriented repair. If your panel is completely out of order and in need of a replacement, worry not! Our experts have decades of experience providing comprehensive panel replacement services to clients. It’s always in the best interest of your commercial property or business to have a dependable electrician on call. For more information on how Dale’s 81 Electric, LLC can serve your business, call us at 405-375-4207 today.